Dr. Greco and his staff at Gentle Family Dentistry truly live up to their name. They took such great care of my 4 year old son, Jake, during numerous visits,including a root canal. Dr. Greco showed such patience and care tending to my son and "gently" comforted him through each procedure.GFD had a very warm, welcoming and professional staff. Will bring all four kids and the adults there for years to come. We participate in or accept most insurance and union dental plans. To find out for sure if we accept your plan, please call our office. 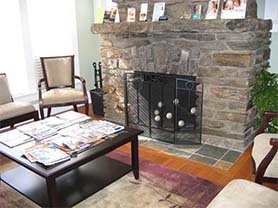 Welcome to Gentle Family Dentistry in Briarcliff Manor, where you will receive the best dental care using the most advanced techniques, equipment and materials. Dr. Roseann Maimone and Dr. Louis Greco are highly experienced general dentists who specialize in Advanced Reconstructive Dentistry, Cosmetic Dentistry and Implant Dentistry.